We offer perpetual software licenses to EventIDE users. Each license is associated to a unique license key that is issued by Okazolab to a single user or user group. You need to activate a license with your key in order to leave the evaluation mode, in which EventIDE works by default. A license has to be activated on every computer, where you use EventIDE. License activation is an easy one-time process that can be done either online or offline. This article guide through all necessary steps. During license activation no personal information is collected and sent online, except for a public computer name. Download the most recent EventIDE program package from www.okazolab.com. You can bring the downloaded package on computers without internet connection. Unpack the package to a separate folder and run the program- it will start working in an evaluation mode with a total duration for 2 months of real use (on the second month a nag window will be shown). The evaluation mode does not impose any limits on software functionality. At this moment the license status line shows that no license installed. 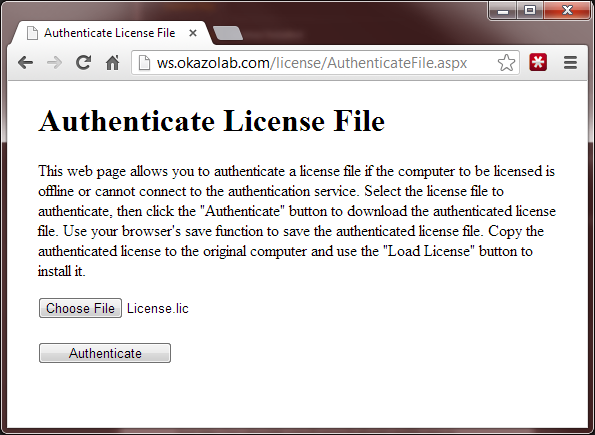 Paste or type your license key to the top field and press the Install button on the right. 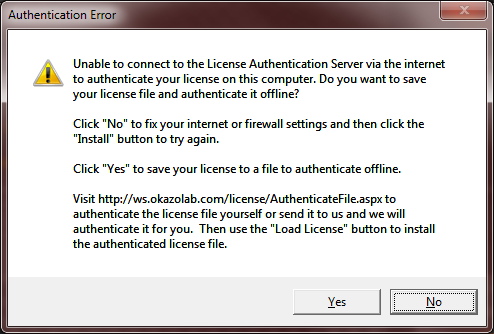 Then the program will try to contact the Okazolab authentication server to activate the EventIDE license for your license key. Now you can close the window and continue your work, no further steps are required. If you computer have no Internet connection, or it belong to a computer network with a external firewall/proxy server (it is often the case in computer networks), or online activation failed due to some connectivity problems, you will need to do browser-based or offline activation.
. We will handle the activation procedure by ourselves and return the authenticated license file to you. The activation of your EventIDE license is tied to a particular computer, so you will need to activate the license for every computer in use, with the same key. Your license key allows a certain number of license activations. Contact us, if you want to increase that number. If you want to reinstall your OS, there is an easy way to keep an EventIDE license without its reactivation. Open the Software license window, press ‘Save License’ and backup the current active license into a file. When you will start a new copy of EventIDE next time, simply load the backup file to restore an active license. Note that EventIDE license can be restored only on the same computer, where a backup was made. If you want to use EventIDE across multiple local accounts on the same computer, there is no need to activate the license for every local user. You can activate your license under one account, backup the license file (into a shared folder) and load it under another account. if you want to remove the active EventIDE license from a computer, simply press the ‘Uninstall License’ button in the Software license window. EventIDE will continue to work in the evaluation mode.